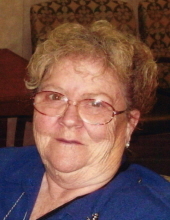 Jane Sanderson, 81, of Paducah passed away at 2:10 p.m. Friday, November 2, 2018 at Oakview Nursing & Rehab. Jane was a member of Lone Oak First Baptist Church, where she helped in the nursery for many years. She loved animals, both dogs and cats and enjoyed feeding the birds. Jane and her late husband James, owned the ponies at Noble Park that was was part of the rides at the park for many years. She owned a vegetable stand on highway 45 and sold a lot of tomatoes through the years. Survivors include one daughter, Margaret (Bobby) Ivitts, of Paducah; one son, Rev. Toy (Karen) Brindley, Gurley, AL; two brothers, Tommy (Donna) Humphrey and Toy (Sharon) Humphrey both of Paducah; four grandchildren, B.J. (Mandy) Ivitts of Paducah, Rachel (Ryan) Oliver of Paducah, Katlin Ifill of Huntsville, Al and Johnathan Barnes of Woodville, Al; six great-grandchildren, Carter Ivitts, Maddox Oliver, Avery Jane Ivitts, Tate Oliver, Brindley Ifill and Garrett Houston; several nieces and nephews. Preceding in death were first husband, Luther Eugene “Gene” Brindley; second husband, James Edward Sanderson; parents, Toy Humphrey & Dorothy Lucille Rose Humphrey; one sister, Linda Richards, and brother-in-law Robert Richards; one brother, Leroy Humphrey. Services will be held at 11:00 a.m. Monday, November 5, 2018 at the Lone Oak Chapel Milner & Orr Funeral Home with Rev. Stan Reid officiating. Entombment will follow at Woodlawn Memorial Gardens. Visitation will be held Sunday, November 4, 2018 from 4:00-6:00 p.m. at the Lone Oak Chapel Milner & Orr Funeral Home. Expression of sympathy may be made to Project Hope Animal Shelter, P.O. Box 125, Metropolis, IL 62960. You may light a candle or leave a message of sympathy at www.milnerandorr.com.